Ariens Tire Chain Set 13" x 4"
About as I expected. Installed well, now I have to wait for snow. Ask us about the Ariens Tire Chain Set 13" x 4". Please no repair questions. Your Q&A may be posted to SnowblowersAtJacks.com to help other shoppers, like you, with their purchasing decisions. Thank you. 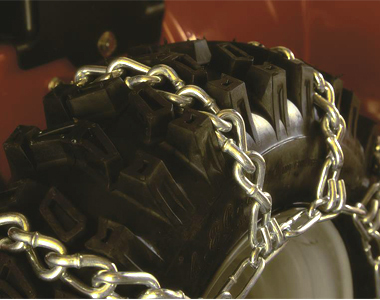 Alan, here is a video on how to simply install tire chains on your snowblower.